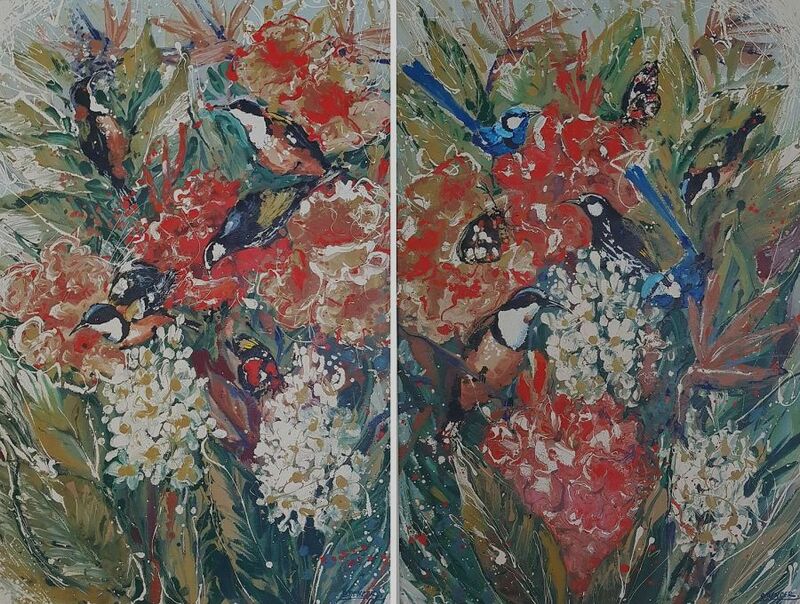 Please use the contact form at the bottom of the page to contact the gallery for prices of Spencer's work. Brian Spencer was born in Kent, England, and studied at the London College of Art before arriving in Australia in the fifties to begin a successful career as a freelance commercial artist in Melbourne. 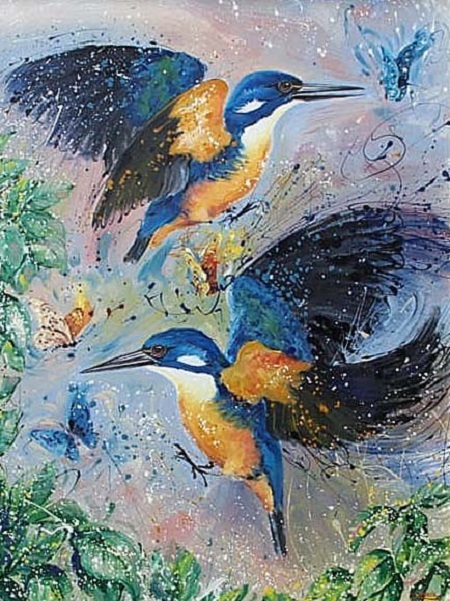 In 1980 he moved to Queensland to become a fulltime artist. 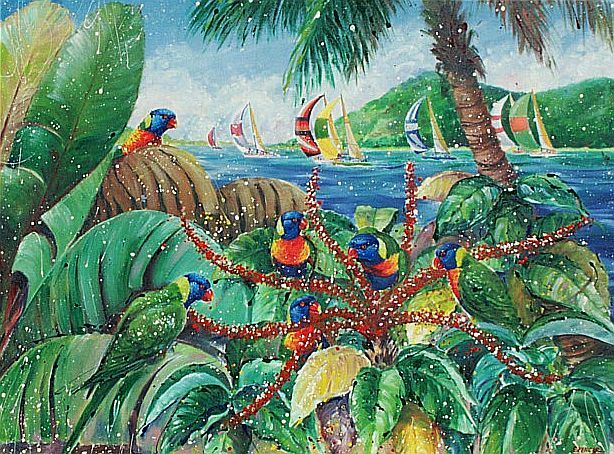 His idyllic retreat on Makepeace Island in the middle of the Noosa river provided Spencer with constant inspiration. 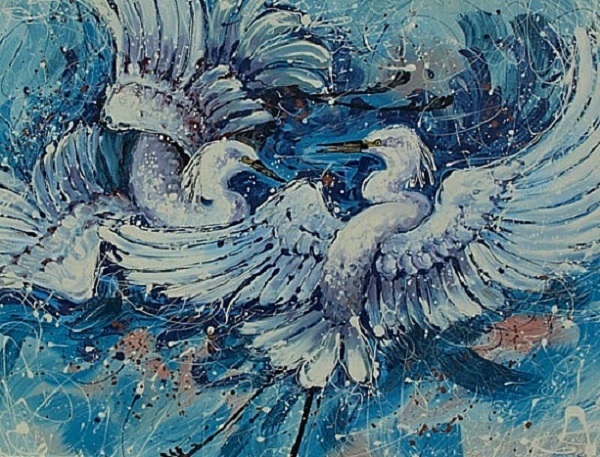 His genius at evoking the dynamic mysterious spirit of nature, his unconventional style described as "neo-impressionism" and his unusual medium of oil and enamel make his paintings truly unique. Feelings of excitement and involvement exude from Spencer's paintings. Viewers sense a thrill as they sneak a close up of wild birds and animals in their natural environment. 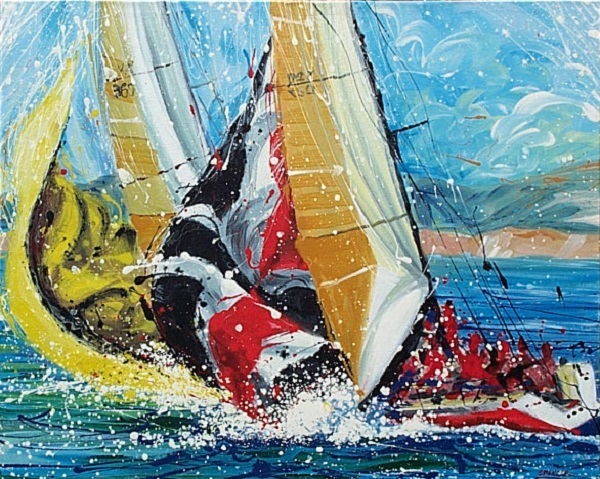 His yachts convey the tenseness and excitement of the moment at rounding the buoy with spinnakers billowing. 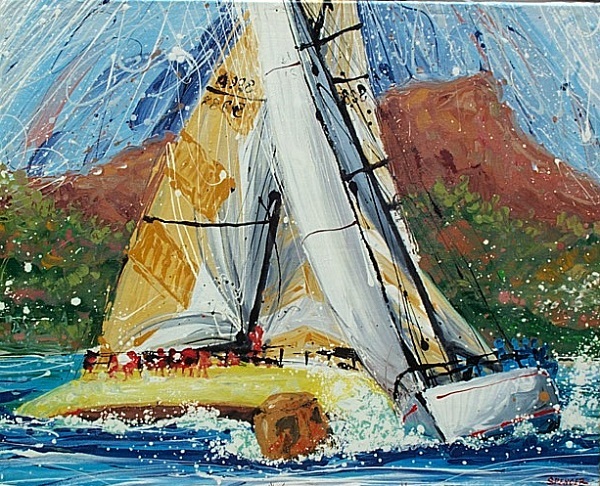 So intrigued were three galleries on the Hawaiian Islands with his art style that he regularly supplied them with yachting paintings. It is not surprising therefore that Spencer's paintings can be found in private and corporate collections throughout Australasia and from the French Riviera to New York. 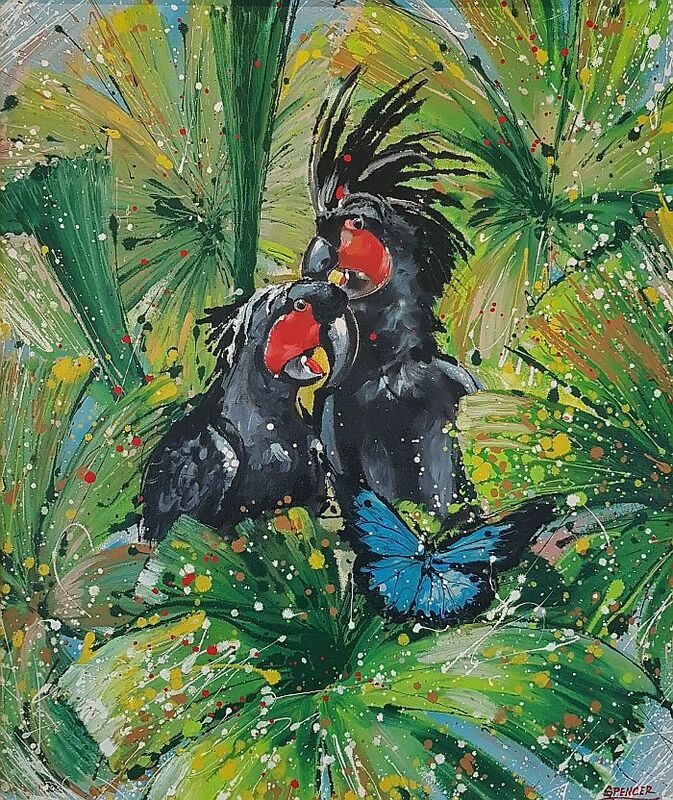 Spencer's individual Style has resulted in many highlights - perhaps the major one being commissioned to paint a mural 50 metres long by 2.4 metres high depicting the Great Barrier Reef, in 1988. 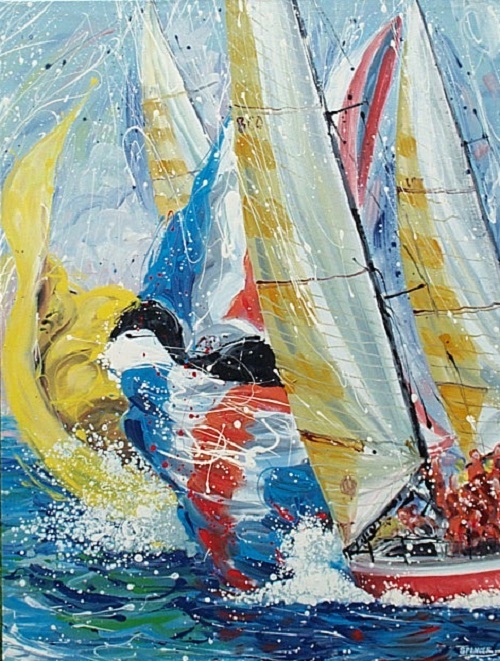 In May 1995 in conjunction with the America's Cup challenge Spencer was invited, as one of three Australian artists, to exhibit his yacht paintings at an international exhibition in San Diego. Also in 1995 Spencer came to the attention of a large Japanese corporation which has galleries in Japan and Hawaii and was put under contract to make annual promotional visits to Japan. 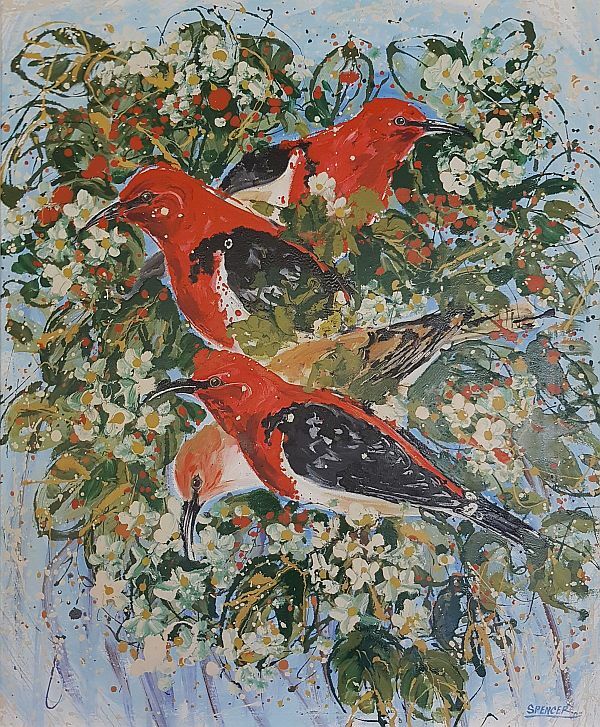 Spencer has spent increasing amounts of time in Hawaii in recent decades, which also influenced his art with vibrant sunrises and sunsets, but now in semi-retirement only paints sporadically. Please use this form to contact the gallery for prices of Spencer's work.